Last week when we were Kamakura, there was a line for a small jewelry shop in the same alley as the cute little cafe where we had our drink art adventure. The line moved slowly, but steadily. 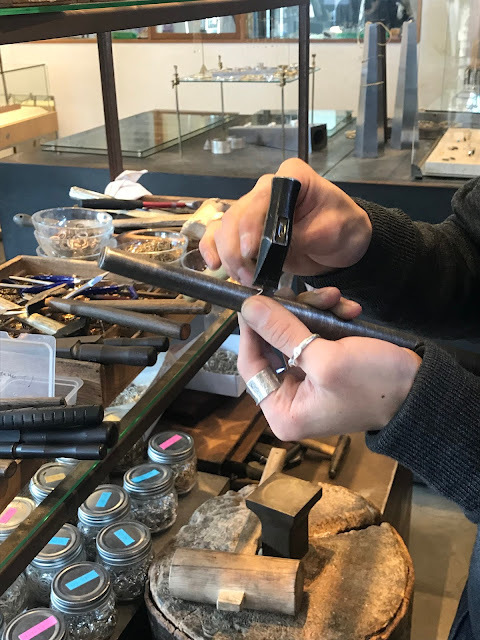 I figured it must be the place I had heard about where you can make a custom ring and I made a decision to check it out another day. 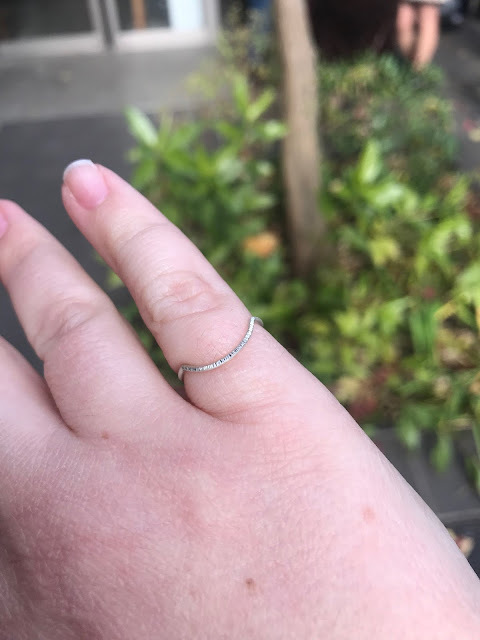 Today, I had a little more Christmas shopping to do and Kamakura was the place to do it, which meant that I could also get myself a ring! I ordered that gift and got a ticket for timed entry into the line at the jewelry. With an hour before I could get in line, I picked up the gift I had ordered and took myself to a yummy lunch of keema curry, where I read a book and was pleased I was not the only diner alone with a book (one of at least three, in fact). Once I got in line, I had another hour to wait and read, but it was worth it! 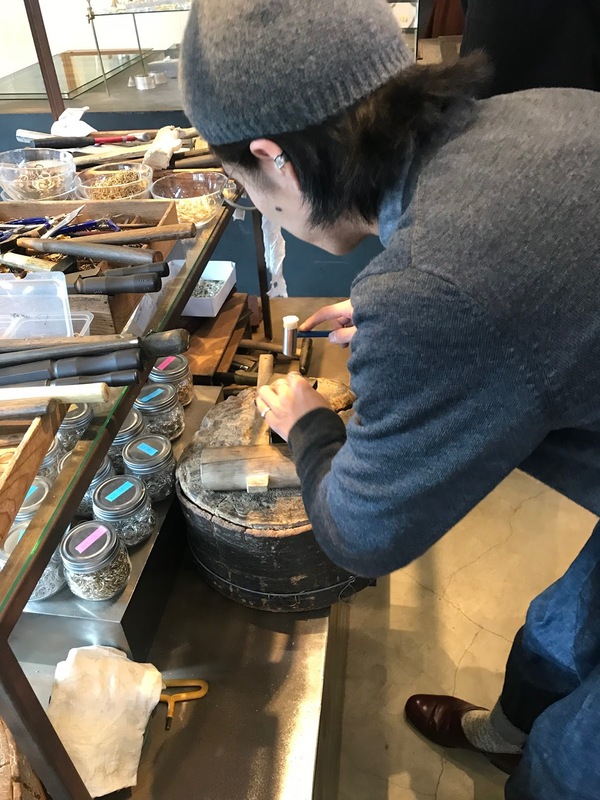 The silversmith I worked with asked me if I spoke Japanese (very little, I admitted) and he ran through a few options in English. With guidance of "small", "silver", "unique", and "surprise me", he got to work. I probably could have been able to have even more say in the design if it weren't for the language barrier, but I still couldn't be more pleased with the result! Very pretty. And such a fun experience!